The Mumbai banker's $20 billion private-wealth-management unit became India's biggest by assets and helped make him a billionaire. Nirmal Jain's IIFL Holdings Ltd. more than doubled in the past 12 months. 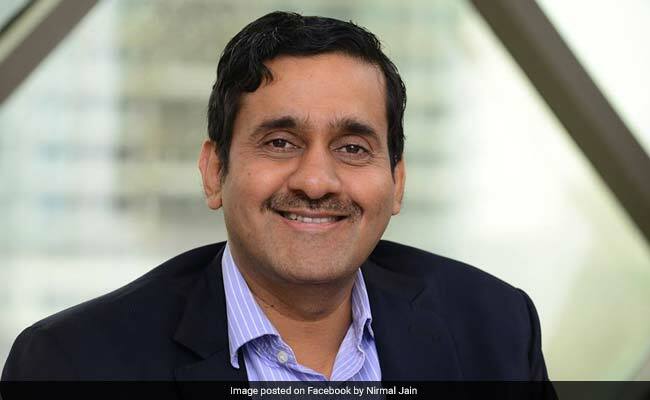 Nirmal Jain has hit the jackpot serving the new rich in the world's fastest-growing major economy. The nation's demographics are a driving force, as well as Prime Minister Narendra Modi's efforts to withdraw India's biggest bills from circulation, which has pushed savings into the financial system. India's young and thriving workforce will support its growth for years to come, Jain, 51, said in a phone interview, pointing out that millennials account for about a third of the country's population and most of the income. "Most of it is first-generation wealth, so your clients are pretty hands-on," Jain said. "It's not that they inherited wealth, so they have a lot of passion and attachment to wealth and its performance." IIFL's profit rose 32 percent to 2.36 billion rupees ($36.3 million) in the quarter ended Dec. 31, fueled by growth in the private-wealth unit, where assets under management surged to $20 billion. IIFL eclipsed Kotak Wealth Management, whose chief executive officer said that the group had $17 billion under management as of June 2017, the latest data available. Kotak didn't respond to requests for comment. IIFL's wealth unit manages money for 10,000 high or ultra high net worth individuals, who each have potential or actual financial assets of about $3 million, Jain said. IIFL also has finance and capital-markets businesses that it plans to spin out. Jain's fortune is derived from a 23 percent stake in IIFL, some of which is owned indirectly through holding companies. He and his wife also have an investment in 5Paisa Capital Ltd., a spinoff that offers discount brokerage services and online trading. Jain got his start in 1989 at Hindustan Unilever Ltd., where he worked as a commodities trader. In 1995, he founded an equity-research firm now known as India Infoline, or IIFL Group. He opened one of India's first online-trading websites in 2000 and later diversified into life insurance and mutual fund distribution, equities and other financial services. Today, the group has 13,000 employees and offices from Switzerland to Mauritius, according to its website. Jain drew foreign investors including a unit of Toronto-based insurer Fairfax Financial Holdings Ltd., which is IIFL's biggest shareholder. Jain is also becoming a force on social media with more than 25,000 followers on Twitter, where he criticized the government's support of ailing public sector banks. In a recent Economic Times column he called for privatizating state-owned banks. The billionaire said he isn't all that concerned about keeping score when it comes to his own wealth. "I just do my work," he said.